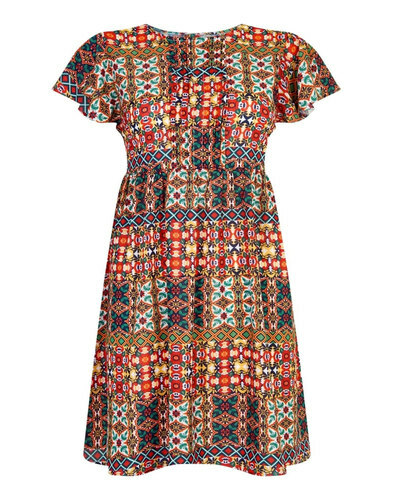 Sugarhill Boutique 'Gloria' Retro tie back summer dress with a vivid Vintage inspired floral Peacock print. The bold and beautiful printed fabric is cut in a flattering fit and flare shape and also features a cute tie back detail. The Sugarhill Boutique 'Gloria' dress is a sleeveless mid length style with demure rounded front neckline and plunging V shape back. 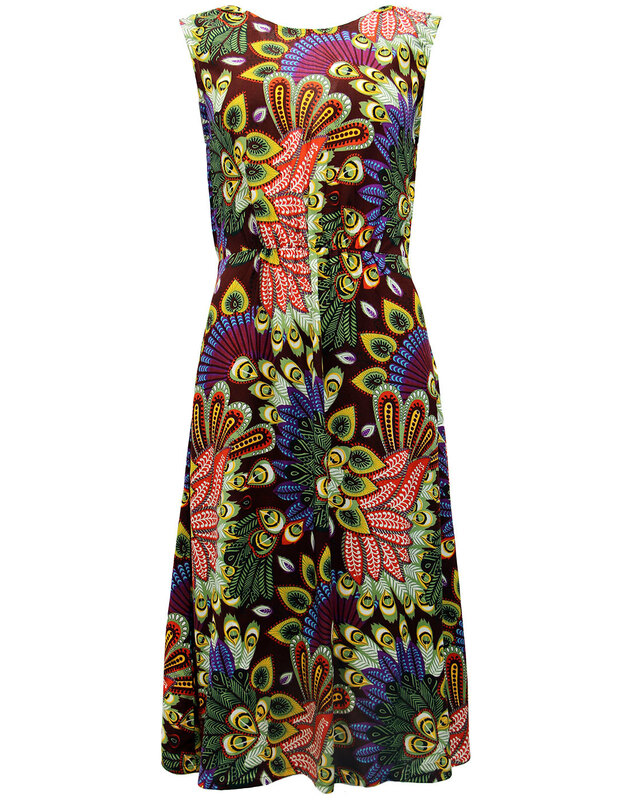 Soft floaty fabric and vibrant peacock print makes the Sugarhill Boutique 'Gloria' sundress perfect for the summer season. - Sugarhill Boutique 'Gloroa' retro sundress. - Vintage peacock prin fabric with floral details. - Tie back style with V shaped back neckline. - Colour: Vintage Peacock Maroon. - SKU: D0088-B Gloria Tie Back Midi Sundress. Care: Cold hand wash with similar colours. Please refer to garment care label. Length of dress, from shoulder seam to hem is approximately 110cm. 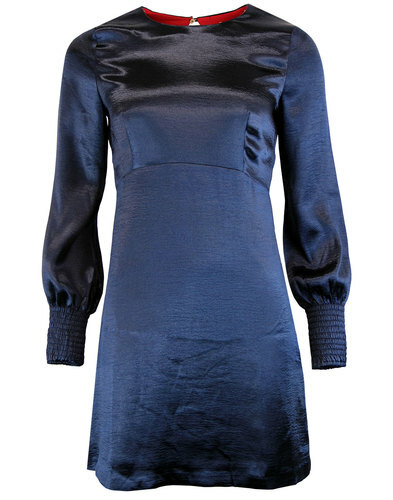 On a woman of 5ft5"/165cm this dress will fall at a midi length.